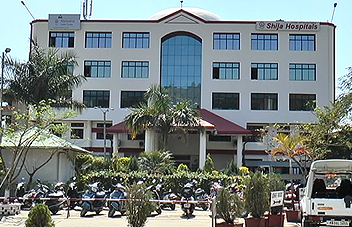 Shija’s Intensive Care Unit (ICU) is a unit where seriously ill patients are cared for by specially trained staff. Patients are admitted to the ICU for a variety of reasons. There are 32 critical care beds equipped with centralized oxygen and suction, vital monitoring system, central monitoring system, ventilator, defibrillator, infusion pump etc. ICU care is again segregated into General, Neuro Surgery, Paediatrics and Neonatal ICUs. The unit is supported by round the clock anaesthetists, well trained nurses and experts in critical care medicine. Some patients need close monitoring immediately after a major surgical operation or serious head injury. Others may have problems with their lungs that require ventilator support with breathing. Patients in the ICU may have an imbalance in the level of chemicals, salts, or minerals in their bloodstream that require close monitoring as these levels are corrected. Shija’s ICU staff keeps the patient’s family well-informed of any major changes in the patient’s condition or procedures that are being performed. Counseling with doctors are done on a regular basis. Members of the ICU team meet with the patient and/or family to ensure that everyone has a common understanding of the health condition and the plan of care.